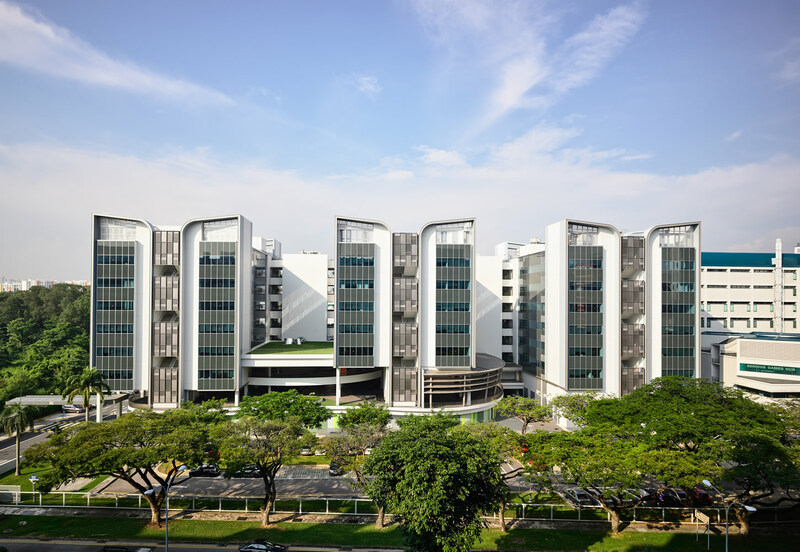 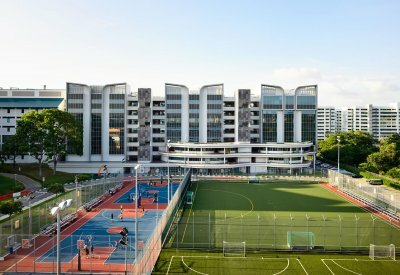 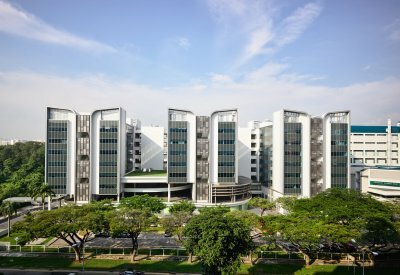 The largest building erected as part of the polytechnic’s campus development, the 8 storey high building houses facilities such as a 100-seater culinary theatre, classrooms, laboratories, a kindergarten, an airconditioned food court and staff offices. Prominently located at the East Gate entrance to the campus, the building is one of the key anchor points of the campus welcoming students and members of the public alike into the school. 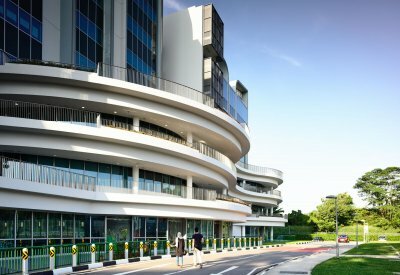 Viewed from the main road, the building is seen to blend in with the existing where the curved tops of the 3 towers echo the design of the existing structures. 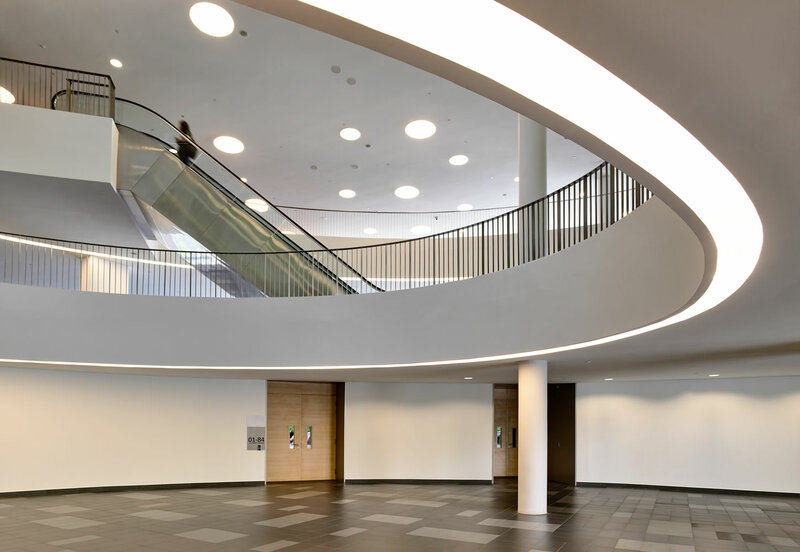 The 3-storey podium is distinguished from the towers by its free-form shape. 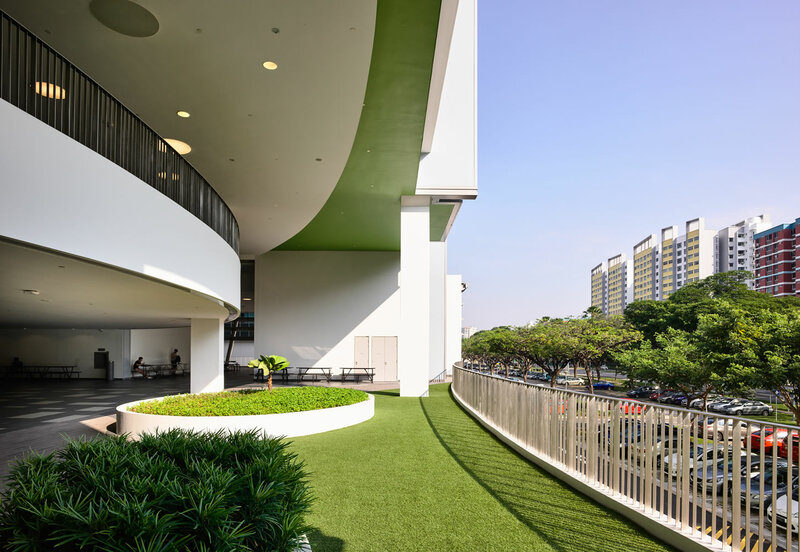 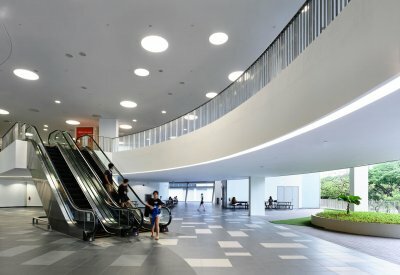 Public areas such as the exhibition spaces, food court and drop-off atrium are planned here to help activate the groundscape and connect to the campus’ 3rd storey pedestrian concourse.